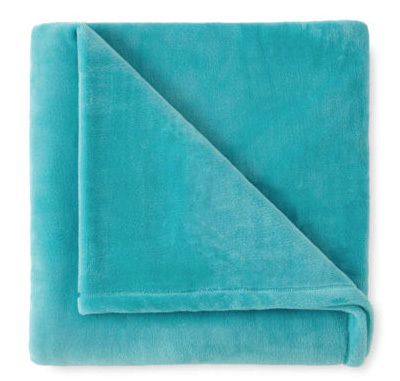 With this ultra-soft Turquoise Velvet Plush Solid Throw, you’ll never have to compromise comfort and warmth for style—its cozy, generous size covers it all. $25 Sale $11.99. Buy here. 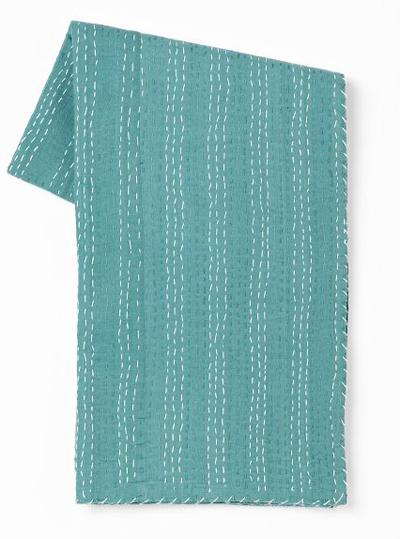 From Noble Excellence, the Turquoise Stella Summer Chenille Throw features features piled construction and chenille detail. $59. Buy here. 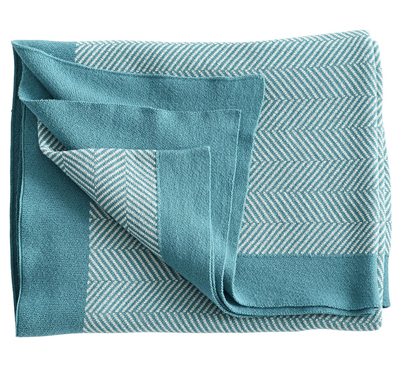 Thin, this Chevron Graphic Throw is light and airy. Toss it upon your bed or sofa for added color and comfort, or wrap yourself up for style and warmth. $59. Buy here. 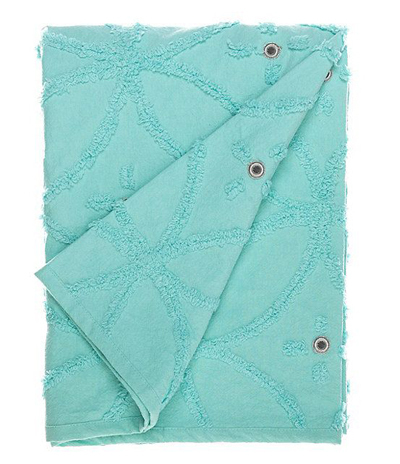 This Solid Aqua Kantha Throw mixes bright colors with eye-catching stitchwork. Draped on a sofa or bed, it’s a warming layer with flair. $99 Sale $39.99. Buy here. 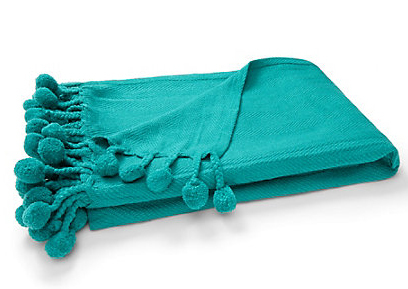 This ultra-soft cotton Pom Pom Throw isn’t short on charm thanks to its whimsical pom-pom fringe. A versatile piece both indoors and out. $68 Sale $25. Buy here. 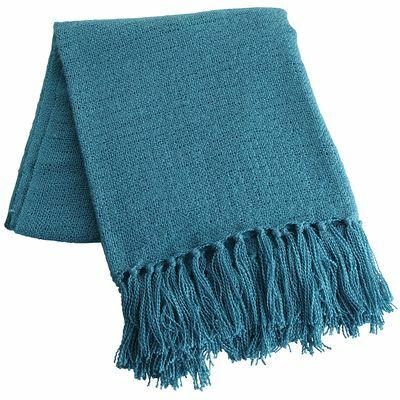 This super-soft Turquoise Everyday Throw features a lightweight weave that makes it comfortable for year-round, everyday use. $29.95. Buy here.